Margaret A. Newman was born on October 10, 1933. She earned her Bachelor's degree in 1962 from the University of Tennessee and her Master's degree in 1964 from the University of California. While working toward her graduate degree, Newman served as a joint director of nursing of a clinical research center, as well as an assistant professor of nursing at the University of Tennessee in Memphis. She received a doctorate from New York University in 1971. Newman then taught at New York University until 1977. In the fall of 1977, she accepted the position of professor-in-charge of graduate study in nursing at Penn State University. 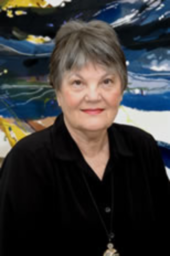 In 1984, Newman began working as a nurse theorist at the University of Minnesota, and she retired from teaching in 1996. Newman is a fellow in the American Academy of Nursing. She has been honored as an outstanding alumna by both the University of Tennessee and New York University. She received the Distinguished Scholar in Nursing Award from New York University, the Founders Award for Excellence in Nursing Research from Sigma Theta Tau International, and the E. Louise Grant Award for Nursing Excellence from the University of Minnesota. The initial idea for Newman's Health as Expanding Consciousness Theory came together as a result of an invitation to speak at a conference on nursing in 1978. It stems from Rogers' Theory of Unitary Human Beings. It was stimulated by concern for those for whom the absence of disease or disability is not possible. Newman was also influenced by Bentov's concept of the evolution of consciousness, Young's Theory of Process, and Bohm's Theory of Implicate. This grand theory of nursing claims that every person in every situation, regardless of how disordered and hopeless it may seem, is part of the universal process of expanding consciousness, which is a process of becoming more of oneself, finding greater meaning in life, and of reaching new dimensions of connectedness with other people and the world. Health encompasses conditions heretofore described as illness, or, in medical terms, pathology. These pathological conditions can be considered a manifestation of the total pattern of the individual patient. The pattern of the individual patient that eventually manifests itself as pathology is primary, and exists prior to structural or functional changes. Removal of the pathology in itself will not change the pattern of the individual patient. If becoming ill is the only way an individual patient's pattern can manifest itself, then that is health for that individual patient. Health is an expansion of the consciousness. According to Newman, "The theory of health as expanding consciousness (HEC) was stimulated by concern for those for whom health as the absence of disease or disability is not possible. Nurses often relate to such people: people facing the uncertainty, debilitation, loss and eventual death associated with chronic illness. The theory has progressed to include the health of all persons regardless of the presence or absence of disease. The theory asserts that every person in every situation, no matter how disordered and hopeless it may seem, is part of the universal process of expanding consciousness - a process of becoming more of oneself, of finding greater meaning in life, and of reaching new dimensions of connectedness with other people and the world." Humans are open to the whole energy system of the universe and constantly interacting with the energy. With the process of interaction, humans are evolving their individual patterns of whole. According to Newman, the pattern of the individual patient is essential. The expanding consciousness is pattern recognition. How a disease manifests in an individual patient depends on the pattern of that patient, so the pathology of the disease exists before the symptoms appear. By this logic, the removal of the symptoms of the disease will not change the patient's individual structure or pattern. The model also addresses the interrelatedness of time, space, and movement. Time and space are the temporal pattern of the patient, and have a complementary relationship. People are constantly changing through time and space, which is movement, which shows a unique pattern of reality. According to Newman, nursing is the process of recognizing the patient in relation to the environment, and it is the process of the understanding of consciousness. The nurse helps patients understand how to use the power they have within in order to develop a higher level of consciousness. Therefore, it helps to realize the process of disease, its recovery, and its prevention. Nursing is seen as a partnership between the nurse and patient, and both grow in the sense of higher levels of consciousness.